I recently shopped from from Beauty.com and received a gift card, so there was an excuse to make a second haul! My haul post is coming up within a week or so - the fact is that I am receiving an early Christmas present in the form of a new camera, and have pretty much stopped taking photographs until then - but meanwhile, you can take a look at an amazing GWP I received from Beauty.com. The gifts at Beauty.com are not the odd perfume vial and foil sachet. 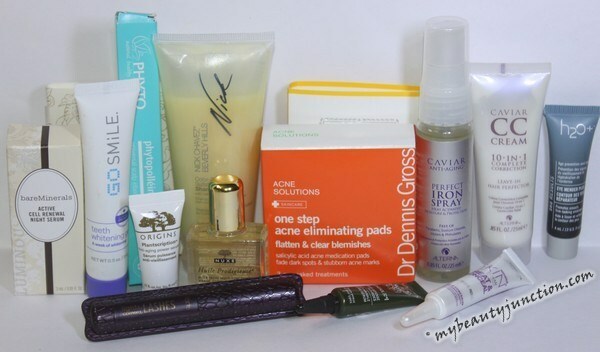 Each GWP is a designer bag, exclusively from a recent collection, and the bag contains travel, deluxe and full-sized samples from top brands sold on Beauty.com. Recently, I got the Adam Selman for Beauty.com Baby Backpack as a GWP - check out the contents here. 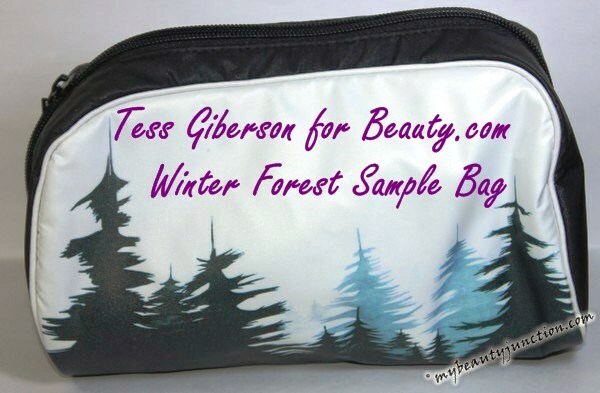 I am thrilled to receive the Tess Giberson Winter Forest bag, the first Holiday 2014 GWP from Beauty.com - as you can see from the photo above, the functional makeup pouch is a looker, with the lovely tree silhouettes! Check out the contents of the Tess Giberson for Beauty.com Winter Forest bag below. I already own and love the Nuxe Dry Oil, reviewed here. I have already used up the Phyto Botanical Scalp Treatment and loved it - see my empties post. I loved the Miracle Skin Transformer Concealer so much, I bought the full-size already. The GoSmile teeth whitening gel is used up. I am testing the others slowly and love the Tarte mascara already! The value of the bag and contents is estimated at $125. The makeup bag is spacious and contains separate side-pockets for toiletries and makeup. It is based on Tess Giberson's Fall 2014 collection, which was designed in collaboration with her husband, artist Jon Widman. GWPs are available only as long as supplies last, which means this bag is no longer available. Most Beauty.com GWPs come with purchase of $100, but since you are getting great products for your money anyway, these are a very welcome extra. The good news is, Beauty.com now offers an Edun Wool Felted Pouch, filled with samples. Get it here before stocks run out - all you have to do is haul from Beauty.com for $100! It contains Jurlique, Peter Thomas Roth, Nuxe, Jane Iredale, Bliss, Nails Inc, BareMinerals and more. The perfect Christmas treat for yourself or a loved one.